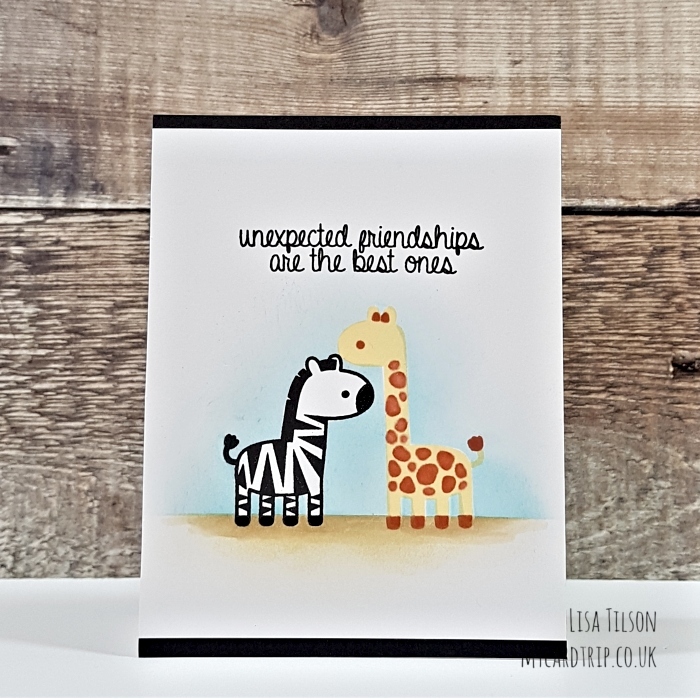 Today I have a card for you featuring the recently released Wild Times from Clearly Besotted. I used this set in a previous card, but it is very cute and I couldn’t resist making another. 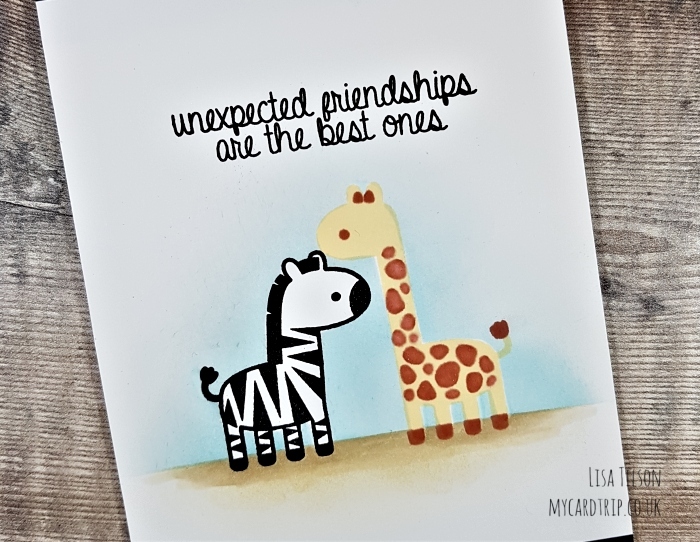 I started off by stamping the zebra and giraffe onto some Neenah Solar White 80lb cardstock. 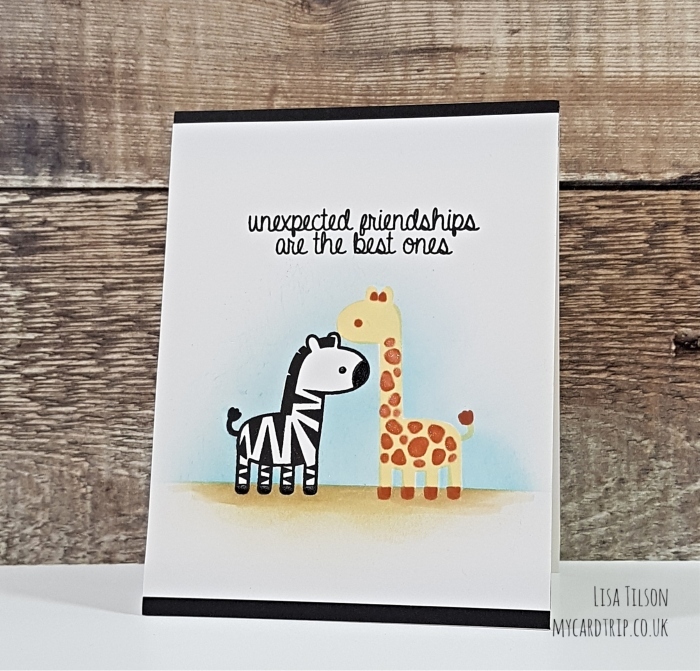 The zebra was just stamped using Versafine Onyx Black Ink but as the giraffe is actually a layering stamp, I used a selection of Altenew inks to make up the layers. The solid layer is Buttercream and is stamped 4 times. The second layer (spots, tail, feet, eyes and nose!) is Paper Bag and is stamped twice. I used the MISTI to do this as it is much easier when double or quadruple stamping! I also created some masks for the two animals. I laid the masks down and took an additional strip of masking paper to mask off the ground area. I applied Tumbled Glass ink above the strip, fading it out gently as it went up the card. I then applied Antique Linen distress ink under the strip to create the ground. I added a little bit of shadow and depth using Copic markers (E41 and E42) on top of the Antique Linen. Some Black Glaze pen was added to the zebra’s nose and feet and some Tonic Nuvo Aqua shimmer to the giraffe’s spots. I popped the panel into the MISTI and stamped a greeting from Clearly Besotted Best Friends towards the top. I glued a couple of black strips to the top and bottom of my card base and then mounted the trimmed down colored panel on top with DST. That finishes the card for today. Very clean and simple but cute nonetheless. 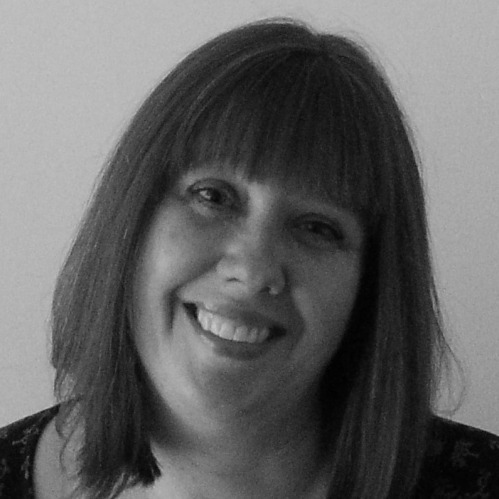 I wish you all a wonderful week, I hope you manage to fit some crafting in.